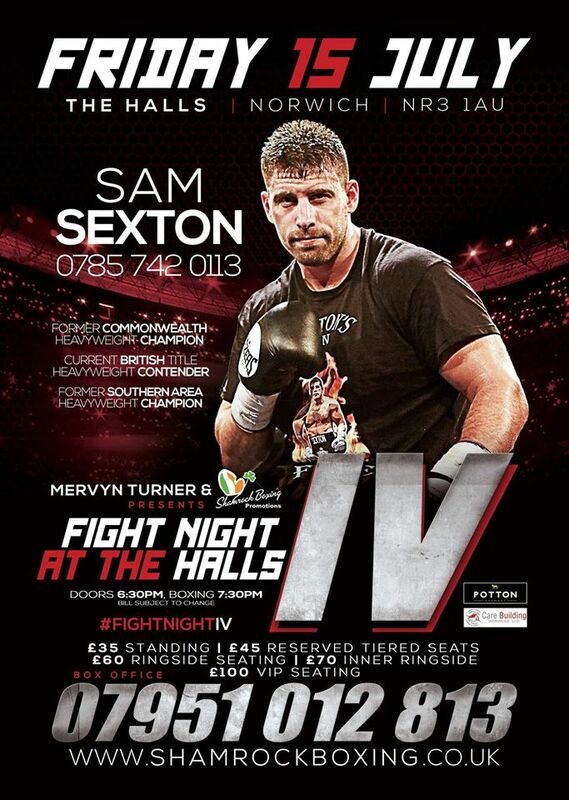 Heavyweight Sam Sexton is once again appearing on a home show after his third victory since returning from injury last year. His performances in the ring have been improving and he is showing that he is back to his best. This time Sam will be hoping to make it 4 fights unbeaten since his return from injury as he looks to earn himself a shot at the British title later this year. This will be Nathan’s first time back in the ring on a home show since his recovery from hand injury. Currently in professional boxing he holds an undefeated record with 18 wins, 5 by way of knockout. Nathan said “It was great to be back under the bright lights after such long time out. I have missed being in the ring and 15 months is a long time, but now that’s a distant memory to me and my manager Graham Everett. It’s all about moving forward and getting bigger fights now. The support I had in Braintree was great, Team Dale really did me proud and I can’t thank them enough for their ongoing support even while I was injured. With the injury behind me I am now happily training and a happy fighter is dangerous fighter. I’ve really upped my game in training because I want to reach the next level and there’s going to be some exciting times ahead of me. Working with Liam Walsh and Ryan Walsh, Sam Sexton, Billy Bird and with guidance from Graham Everett and Jon Thaxton it’s a recipe for success. 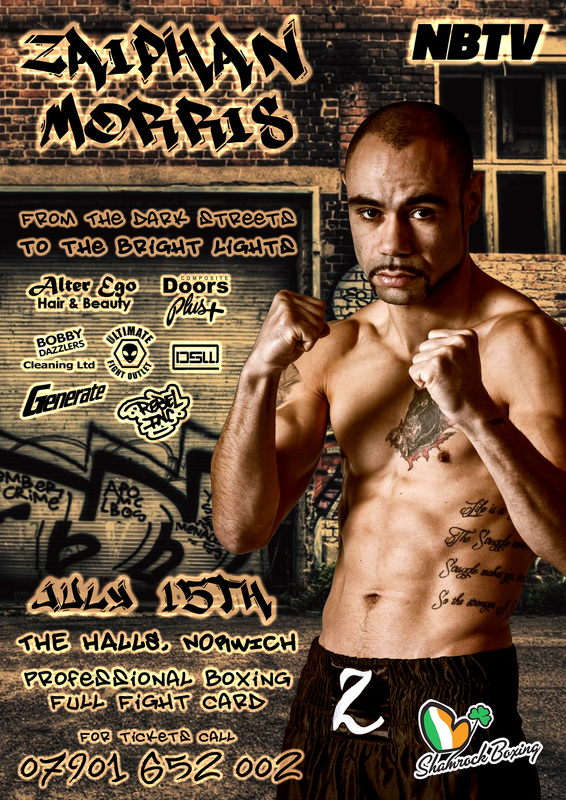 Zaiphan Morris returns to Norwich after a superb performance in his first away fight to go 7 bouts undefeated. 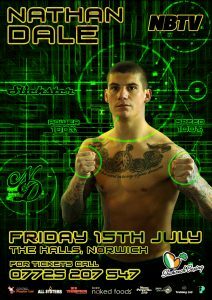 Craig Poxton is back out in Norwich once again and looking to make an impact and build on his record after competing for the English title earlier this year. 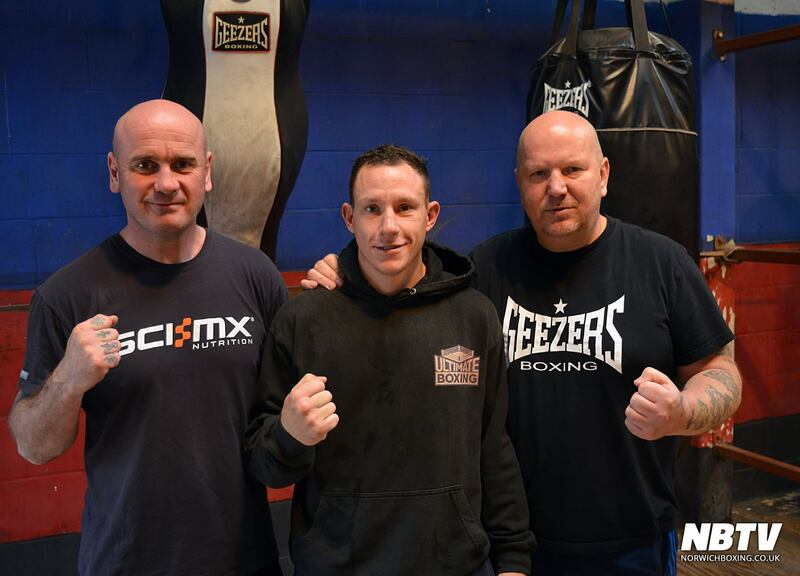 Trained by Matt Smith, Craig returns to compete at featherweight and has just signed a long-term management contract with Graham Everett. Matty is from St. Ives in Cambridgeshire and boxes in the a light-heavyweight division. He hasn’t appeared on a Norwich show since this time last year, but now he’s back and hungry for a win. 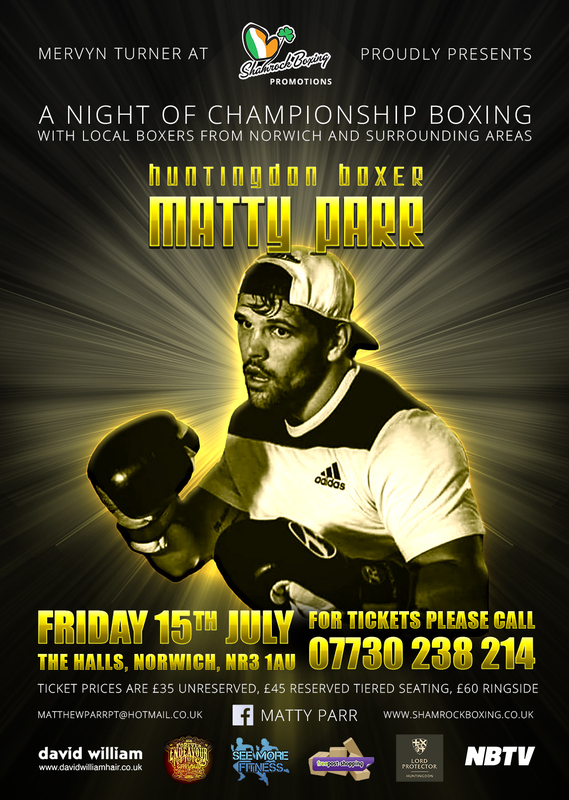 Matty said “Having my debut in Norwich was something I was really looking forward to as I class Norwich as a second home having family from there. The atmosphere was incredible and the support I was overwhelmed by, but I feel my boxing could have been better. The same goes with my last fight at York Hall, I get stuck into having to much of a fight to try impress the crowd instead of using the skills I know I have. I was gutted about losing my fight at York Hall, but I feel it has done me some good. 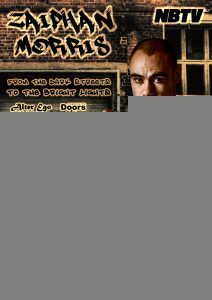 Marcus will be making his professional boxing debut on the night. He’s an experienced amateur and will compete in the light-welterweight division. We talked to him about turning professional, he said “It has always been an ambition of mine and something I’ve always looked towards, I guess the time is right now. I started out at Harwich boxing club at the age of 11 and had over 80 fights as a junior and senior. I represented young England on 3 occasions and reached 2 ABA semi-finals and am hoping the experience in the amateurs will stand me in good stead for the pros. It’s all about adapting, learning and working on things which I feel I’m doing already. I can’t thank Russell Smith enough for all the time he’s put into training me. He welcomed me into the gym and it’s been great. 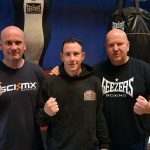 I’d also like to thank all of the other pros at Champions gym in Colchester: Alan Ratibb, Joe Hurn, Ryan Frost, John Wheatley, Tommy Jacobs and Tom McGinley. We all push each other and there’s a great buzz around the gym at the minute. Joining up with my manager Graham Everett, Jon Thaxton & Shamrock Promotions has been brilliant. I know I have a good team of people around me, I’m thankful for that and I’ve had top quality sparring at Kickstop gym in Norwich which is it’s bringing me on a treat. 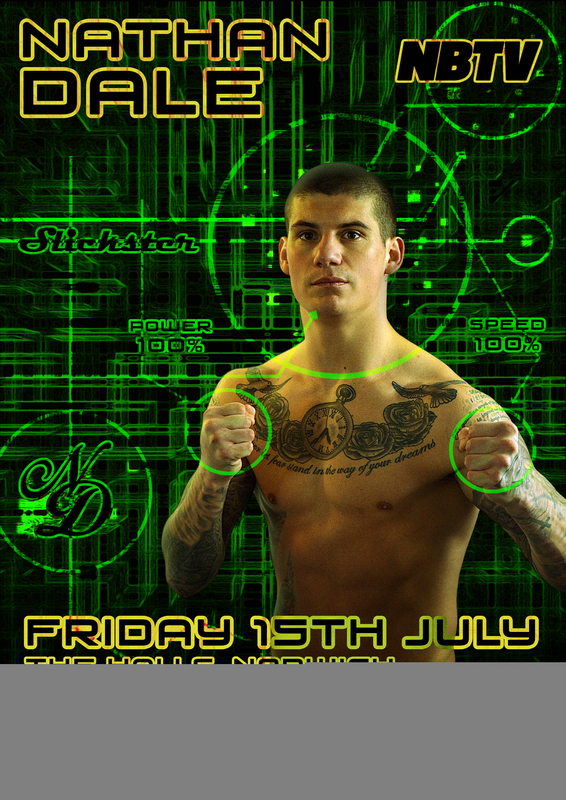 I can’t wait for my pro debut on 15th July and to get my pro career underway. Alan has won his first 2 bouts convincingly and after a tidy performance closer to home in Braintree, we hope to see his masses of local supporters journey to Norwich once again to cheer him on in his third professional fight. For tickets please contact the boxers directly. Multi-story car parking is available close to the event (postcode NR3 3AJ).